Austin Energy has provided solar incentives to help residential and commercial customers install solar energy systems. View the number of rebates, average rebate per customer, and average size since the program’s start in fiscal year 2004. Go to austinenergy.com/go/solar and austinenergy.com/go/solarincentives to learn more about solar solutions and incentives from Austin Energy. Power Partner was launched in 2013 and is a voluntary program for residential customers who use internet-connected thermostats. View dates and times, starting in calendar year 2006, when we used either this or its predecessor voluntary program to reduce residential energy demand. Go to austinenergy.com/go/powerpartner to learn more.  To pursue the Austin City Council’s policies in energy efficiency, Austin Energy invests millions of dollars in these programs so our customers can benefit from lower usage and bills. Unspent Energy Efficiency Services weatherization funds for FY 2015 are now carried over into the FY 2016 budget. Customer Assistance Program weatherization assistance funds have historically been carried forward into subsequent budget years. Find more information at http://austinenergy.com/go/advantage and http://austinenergy.com/go/reports.